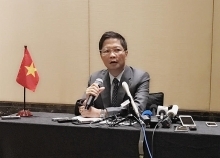 PM Nguyen Xuan Phuc on Sunday briefed about Viet Nam’s socio-economic situation as well as the country’s potentials and opportunities for foreign investors while addressing a round-table dialogue with Chinese business chief executive officers in Nanning, China. 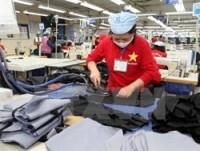 Beside political stability, Viet Nam is featured with golden population and cheap labor force, the Government chief said. 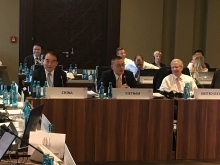 The country has signed 12 free trade agreements is now joining talks on other four agreements, including the Regional Comprehensive Economic Partnership grouping of ten ASEAN members and China. Related to foreign investment attraction, PM Phuc said Viet Nam is home to 21,000 projects with total registered capital of US$300 billion from over 100 nations and territories. Of the total figure, Chinese investors have poured some US$11 billion in 1,500 project, ranking 9th among foreign investors in Viet Nam. The two-way trade volume reached over US$66 billion last year and the revenue increased by 1.5% to US$38.2 billion in the first seven months this year. 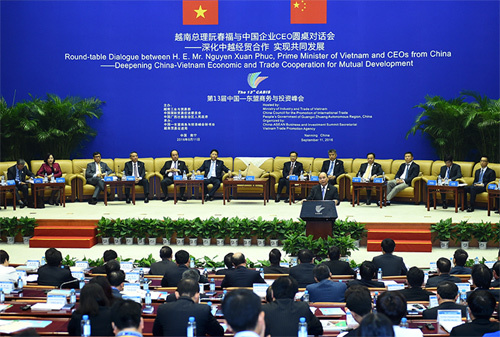 PM Phuc re-affirmed the Vietnamese Government’s position to build up an open environment conducive to business development, considering the success of investors as its own success. He stressed the Government’s resolve to build a developmental Cabinet, a Cabinet of integrity that serves citizens and businesses. 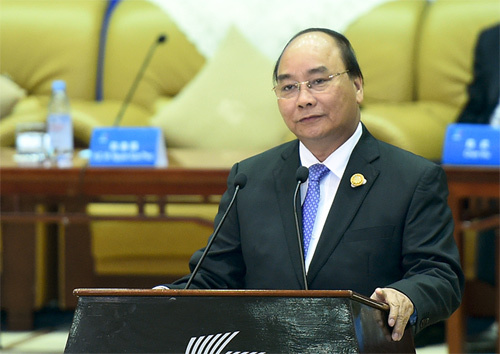 The Government will also focus on institutional development, administrative reform, and improvement of business environment in order to enhance the competitiveness of the economy, PM Phuc said. Many kinds of business licenses can be issued within one day, PM Phuc gave an example of the Government’s efforts to improve the business environment. According to the World Bank, Viet Nam’s business environment jumped three notches, ranking 5th among 10 ASEAN member countries. PM Phuc also stressed the Government’s view not to barter the environment for economic growth./.